After daily doses of paragliding, canyoning, and whitewater kayaking, which she all greatly enjoyed, Nina Gutenthaler is nonetheless glad that her next journey means something closer to her heart. Her next stop brought her to a Swiss town of Champéry, near the French border. It might seem that the last Saturday of May draped the streets in a kind of sleepy air, as it’s mainly one of the most popular snow season destinations, but the hillside cable car is bustling with activity. Nina came just right in time for the opening of a brand new downhill ‘playground’, which is already teeming with hungry bikers after their cold season break. And she’s expecting a very special guest to show her around. And here he comes rushing on his bike, stopping in front of Nina and greeting her with an elegant front-wheel stand. His name is Vincent Tupin and his downhill star has been rising for the past few years, so Nina is obviously excited to meet a fellow enthusiast and to learn a few tricks from ‘Vinny T’, as his friends and media call him. 24-year-old Vincent made his debut on the Red Bull Rampage a few years ago and became a well-known name on the scene. 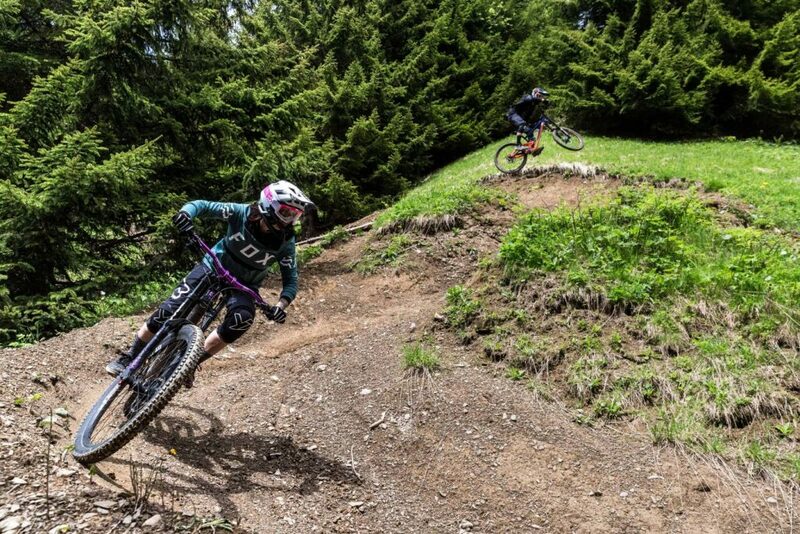 He’s dedicated the last ten years of his life to downhill, which he traded for dirt biking, because the alpine landscape of his home offers plenty of amazing trails and descents. Nina naturally uses the time before they reach the cable car to dig out a few more details about this inspiring young Frenchman. “Champéry has great trails, which allow for the style of riding I prefer – fast and full of jumps. You need to stay in shape. I ride at least five times a week, ideally even more,” he shares. 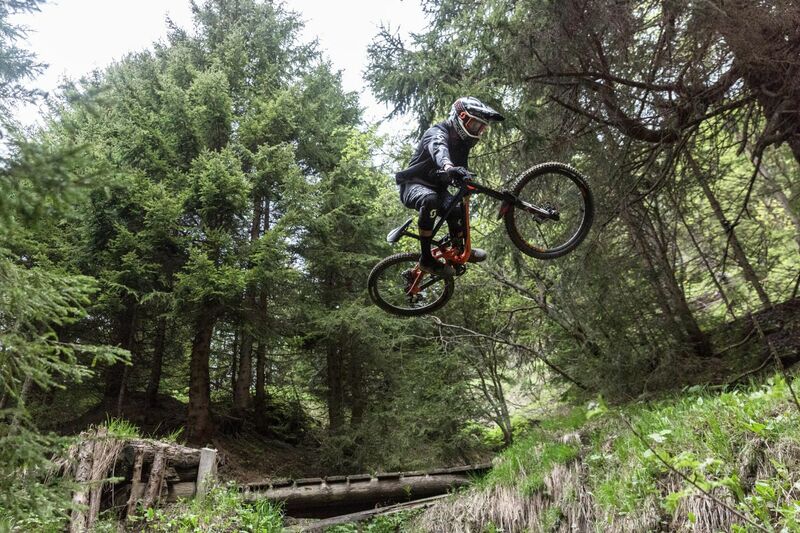 Given the nature of his fearless descents, apparent disregard for own safety, and his favourite habit of throwing his bike sideways, upside down and just about anywhere he sees fit, Nina is interested in the not-so-pleasant aspect of the sport – injuries. “I’ve been lucky so far, I only had one broken collarbone. Precisely, broken in a few places. Actually, both collarbones,” Vinny lists his accidents with a humble smile and no-brag approach. When they set out on the newly built trail, Vincent just beams joy and infinite playfulness that makes all the neck-breaker jumps look like a breeze, thanks to his perfect technique. He uses even the smallest obstacles for various tricks, nearly flying over Nina’s head by the river one time, and Nina, knowing very well how tricky all this really is, chooses to tackle the trail with more caution. On the trail, Vincent greets almost anyone he meets – it’s evident that he’s a well-known devil in the close-knit local downhill community. From their short chats Nina clearly sees how respect, close connection, and support is vital for any sports field to smoothly function. 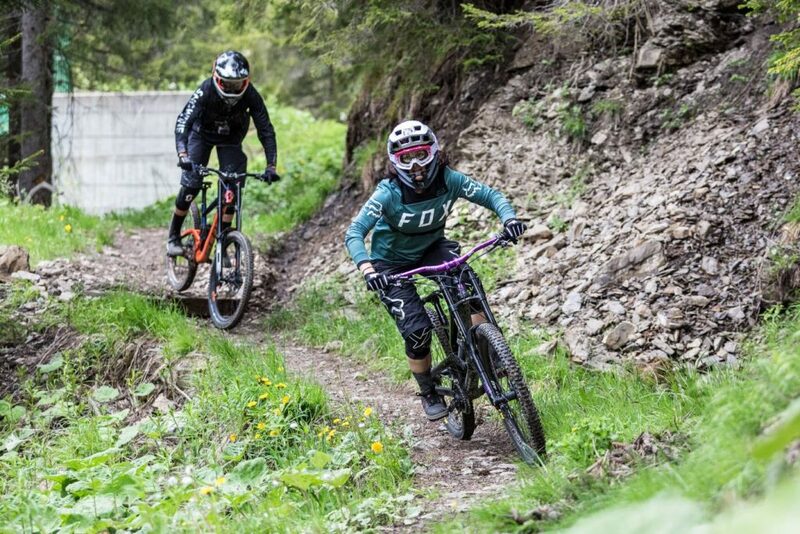 They talk some more after the ride, when Vincent takes Nina to a wonderful viewing point overlooking Champéry and we bet she’ll be remembering this as a day well spent and in the company of someone who truly found something they were born to do.